After the harvest, when the Kara have leisure time, courtship season begins. 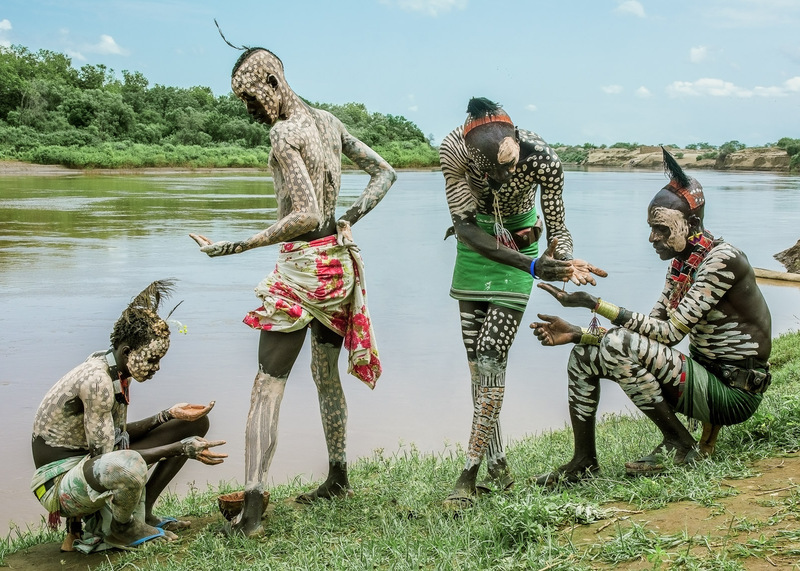 Young men go down to the river bank to paint elaborate designs on their bodies using a mixture of chalk and water. The designs will wear off after a day of dancing and be repainted the next morning.